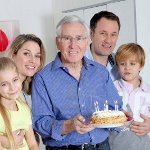 What to present to the grandfather on birthday or any other holiday? This question we will try to answer in this article, after all the gift choice for the elderly person — process quite non-standard and demands a peculiar approach. First of all it is worth remembering that it is not necessary to give knickknacks, it is better to think of that the gift was practical and useful. First, such gifts say that you well know and consider hobbies of the person, and also his wish, and secondly, not all elderly people will appreciate objects of art and other things for which there is no accurate application. It is necessary to present to the grandfather what he could use, or that, action of that will positively be reflected on its health. First of all consider hobbies and a hobby of the grandfather. If he is fond of fishing, the modern rod or a spinning will become a fine gift. Besides, it is possible to present fishing boots, a strong capacious backpack, a thermos, a metal marching mug or a good bright lamp which is always useful in economy. In case the grandfather does not give preference to active recreation, but likes to spend simply time at dacha, the brazier, a grill, a cozy arbor for a garden or a rocking-chair will become excellent option. For the grandfather at whom the favourite car is on the first place, it is possible to pick up something for the car, for example, the small car vacuum cleaner which considerably will facilitate cleaning of salon. The radio tape recorder that on the way to work or giving your grandfather could listen to radio and favourite music will become also good option. As for gifts which will well affect health, it is possible to present to the grandfather a masseur, a tonometer, an orthopedic mattress or a cane for walking. Also well the warm scarf, a plaid, socks or slippers will approach. It is also possible to choose various medicines, such as tinctures, balms or even honey which will be especially useful in a cold season. The permit in sanatorium too can become a fine gift thanks to which the grandfather will be able well to have a rest and strengthen the health. It is possible to present to the grandfather something from household appliances: new TV, heater, refrigerator or microwave oven. From smaller equipment the electrorazor or the mobile phone will approach, in that case it is necessary to pick up model with big keys, the large screen, and, above all — the simplest functionality. It will allow to be at any time with the grandfather in touch. Still it is possible to present a wall clock with the large dial or a simple tea mug. Many like to make therefore the grandfather will not refuse new tools, a drill or the screw gun. Besides, it is possible to make independently a box in which it will be possible to store the similar tool and fixing materials, thus to decorate it with a donative inscription. If your grandfather likes to read, it is possible to present some books on its favourite subject or to subscribe on any magazine or the newspaper. The desk lamp or special magnifying glass with illumination will be also good option. As option it is possible to consider board games, such as a lotto, monopoly, chess, dominoes or a backgammon. We hope that this article helped you to learn that it is possible to present to the grandfather. 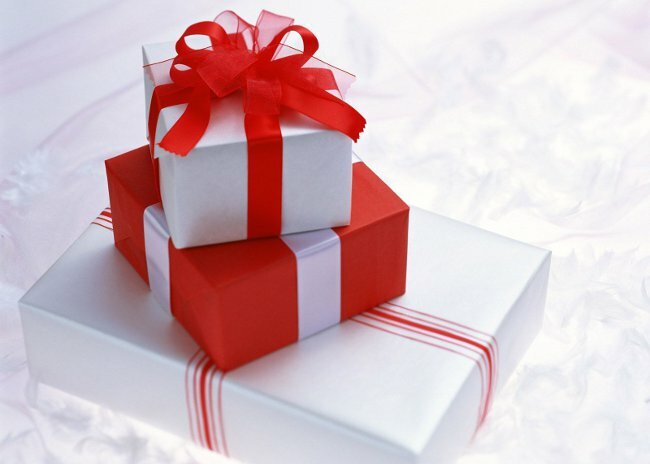 Remember that the main thing — not the cost of a gift, and that, how well you know interests and hobbies of the relatives, and also consider their wishes.